Werewolf Origin was inspired by the 1941 movie, “The Wolf Man.” This classic film starred Lon Chaney, Jr. A clan of gypsies comes into a village in Wales. Lon Chaney is bitten by a werewolf in his attempt to save a girl. The girl dies, but he did kill the monster, who was Bela, a gypsy fortuneteller. Unfortunately for Lon, he becomes a werewolf, and so begins the genre. What is not revealed is how Bela first became a wolf man; this book is a prequel to the movie and reveals this mystery. The story takes place in Llanromney, Wales. The year is 1851. The main character is Dr. Paul Thomas; who practices in a small village. He treats both humans and animals in his capacity as a veterinarian and a family physician. His young, attractive, female assistant, Larene Lester, has worked by his side for many years. Captain Frederick Wellen is the local magistrate and law enforcement officer for this village as well as true friend to Paul. True to its title, the tale reveals how the first werewolf was created. But this story is much more. 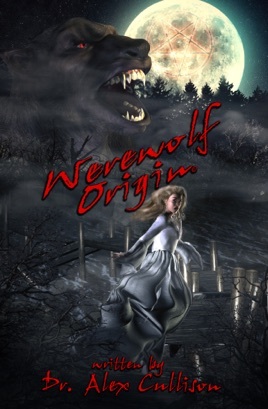 Werewolf Origin is about love, friendship and determination. Larene is a strong independent woman. Dr. Paul is a driven committed man, trying desperately to save his village from an epidemic. Captain Wellen is the town magistrate and Paul’s best friend. Together they share a very engaging experience. Illustrated.